For several years, the 5-liter canister of BegoSol special mixing liquids for BEGO investment materials was delivered with red lid and integrated flexible hose attachment. 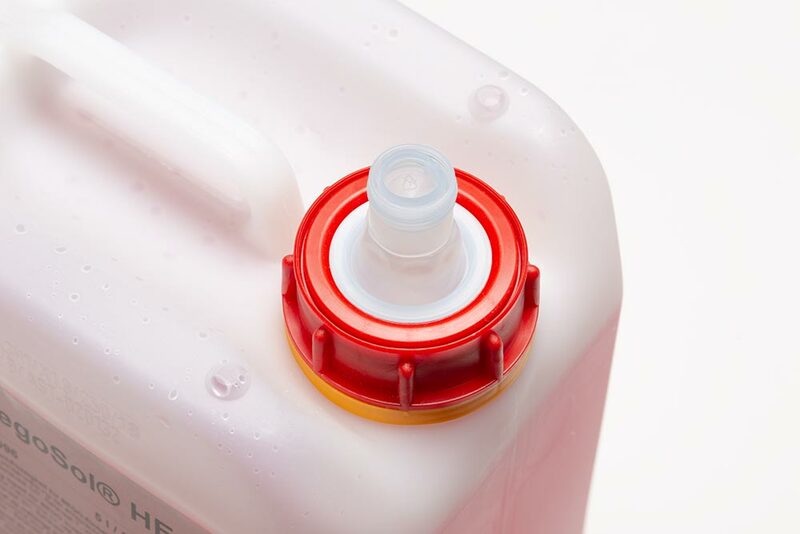 The lid will still be red in the future, but the handling of the flexible hose attachment, for an easy pouring of the fluid, has been improved. This change facilitates the opening and pulling out of the hose attachment and improve the impermeability of the 5-liter canisters. * Winter goods: From November 1st to March 31st of the following year, BegoSol HE and BegoSol K are delivered exclusively in an anti-freeze packaging.